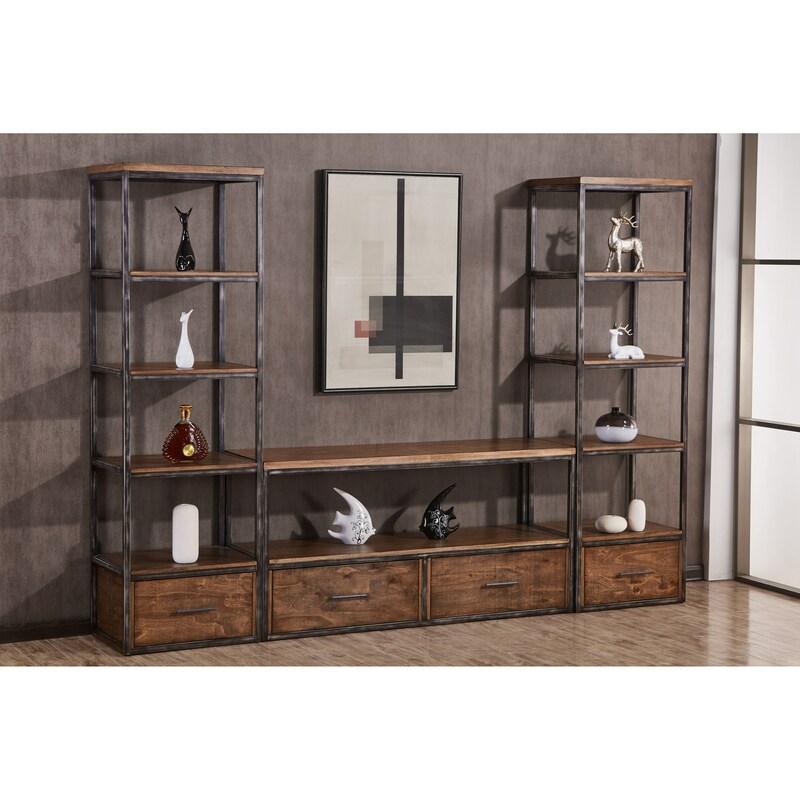 With its on trend blend of hand distressed wood and metal framing, this wall unit is a modern, industrial focal point for your living space. Its clean lines and metal bar hardware provide contemporary flair as well. This wall unit's design is functional too, featuring four drawers of concealed storage and ten open shelves for storage and display. The Chandler Contemporary Industrial Wall Unit With Open and Concealed Storage by Simmons Upholstery at Royal Furniture in the Memphis, Nashville, Jackson, Birmingham area. Product availability may vary. Contact us for the most current availability on this product. This on trend collection creates an industrial, rustic look through its blend of multi-step finished wood and hand distressed metal. This versatile design alongside the collection's use of clean, contemporary lines ensure that these pieces look great in an array of living spaces. The Chandler collection is a great option if you are looking for Rustic Industrial Contemporary furniture in the Memphis, Nashville, Jackson, Birmingham area. Browse other items in the Chandler collection from Royal Furniture in the Memphis, Nashville, Jackson, Birmingham area.